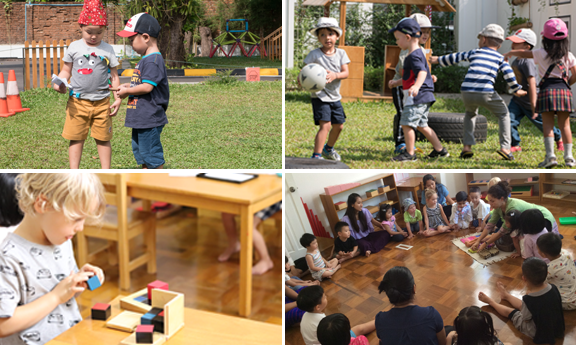 Montessori class is the class with a full range of Montessori equipment. This class includes a three-hour period when the children are able to choose from the activities that they have been shown. During the session, there will be numerous groups, including topic, singing, stories, poetry and ‘grace and courtesy’ (an area which gives the children the skills and knowledge they need to deal with everyday situations).